Việt Nam representative Hà Nội FC has booked a berth in the final of the friendly 2019 Leo Pre-season Cup in Thailand. The team beat Rayong FC of the host nation 4-2 in the semi-final match on Tuesday. 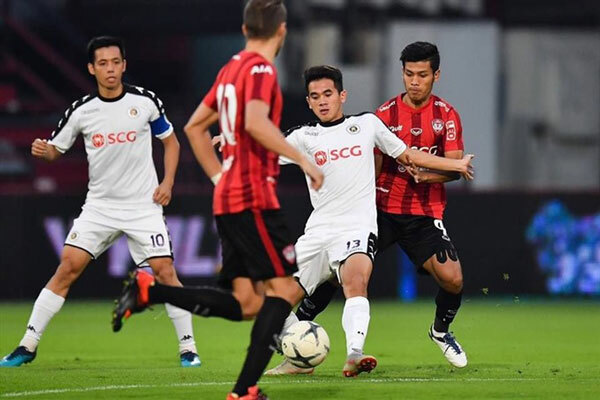 Earlier, they won 3-1 over defending champions Muangthong United in the quarter-finals. The V.League winners will play Chiangrai United, Thai FA Cup champions, in the gold-medal match on Saturday. The Leo Cup is a tournament for Thai clubs to warm up for their local league, which will begin play next month. This year, Hà Nội was of four invited foreign teams, competing against 12 Thai squads from January 12. Last year, Muangthong won the title and pocketed US$62,000.